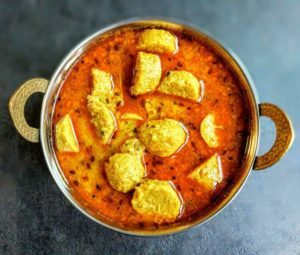 Rajasthan is not just known for its rich culture and historic places, the delicious vegetarian cuisines of Rajasthan make it distinctive from the other states of India. Who says that veg food can’t be as tasty as non-veg food? 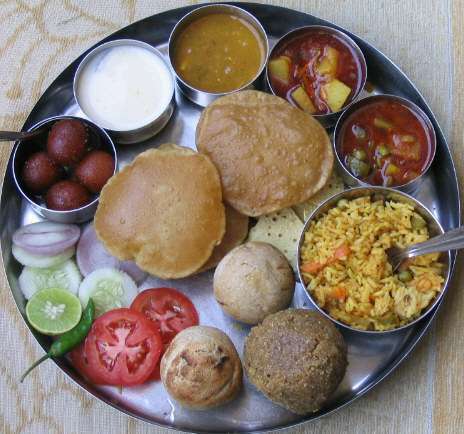 Rajasthan and it’s amazing delicacies will prove this fact wrong! 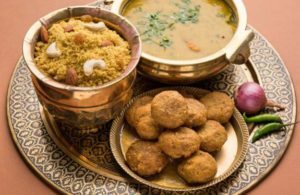 Today we are going to take a look at some of the most popular Rajasthani cuisines that you should definitely taste at least once in your lifetime! Rajasthan is most famous for its Dal Bati Churma which is prepared by using tuvaar dal or mung dal or urad dal or chana dal. This dish compromises with a bowl of Dal along with a few Batis (soaked in pure desi ghee) and a bowl of churma. 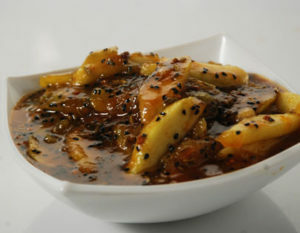 “Gatte ki Sabzi” is one of the popular veg curries in Rajasthan. Gatte is a kind of snacks made of besan and deep fried in oil. The gravy is prepared with these deep-fried gates and curd which tastes as amazing as it looks! 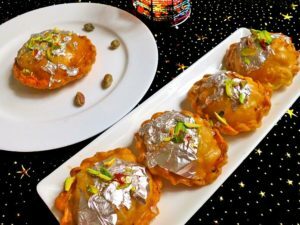 Ghevar is one of the famous traditional Rajasthani sweets which is made of flour and then soaked in sugar syrup to add enough sweetness into it. Also, it contains lots of nuts which makes it a must try desert of Rajasthan! Bajra is one of the most used grains is Rajasthan which is rich in fiber and other important nutrients. 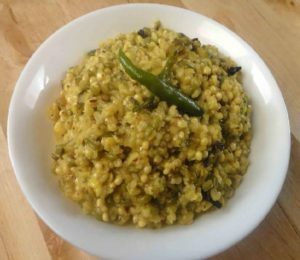 Bajra Khichdi is made of using Bajra and any kind of daal which is tastes so delicious that you would finish the whole bowl within minutes! 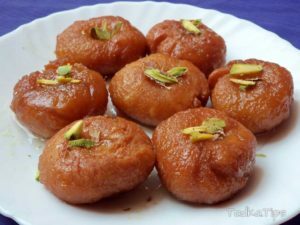 The donut-shaped traditional Rajasthani dessert Balu Shahi isn’t just rich in flavors, but it is one of the most famous sweets in Rajasthan. 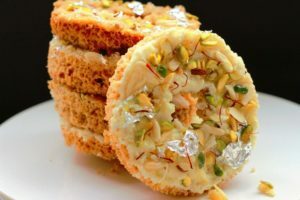 It’s easily available in any sweets shop of Rajasthan which you should definitely try! You must have tried Kachori in your life for once, right? But, have you tried Pyaaz Ki Kachori? 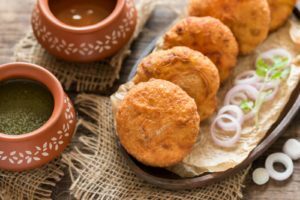 In Rajasthan, Pyaaz ki Kachori is the most known snacks which taste amazing! The kachoris are stuffed with spicy and flavorful onions inside them and these kachoris taste divine! 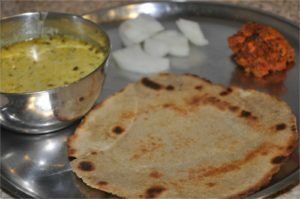 Whenever you visit Rajasthan, try out Bajra Ki Roti along with authentic Rajasthani Kadi which tastes heaven!! The combination of these two dished brings out more flavors from them. Mawa Kachori is another famous traditional Rajasthani desert which is prepared by mawa and flour. Generally, the kachoris are filled with sweet mawa and then they are deep fried and finally dipped into sugar syrup! Keri is a very famous vegetable in Rajasthan and Keri Ki Laungi is the most famous dish which carries so much amazing flavors into it! 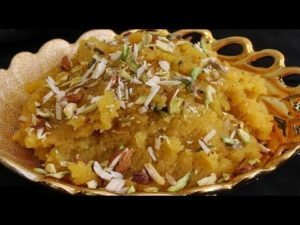 You must have had Gajar Ka Halwa, But have you had Badam Ka Halwa? In Rajasthan, Badam Ka Halwa is one of the most famous sweets which is as rich in flavors as taste!